A self-signed SSL certificate is a certificate that is signed by the person who created it rather than a trusted certificate authority. 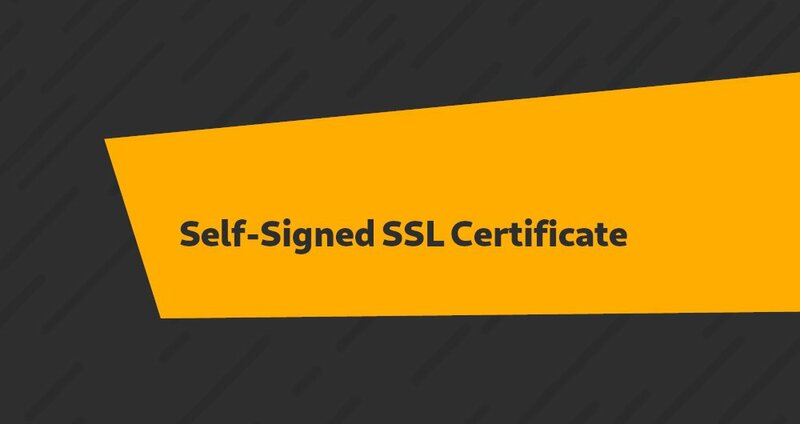 Self-signed certificates can have the same level of encryption as the trusted CA-signed SSL certificate. Question and Answer site helps your online community to share knowledge. People with questions get the answers they need. The community is enriched by commenting, voting, notifications, points and rankings. QnA seizes the opportunity to help the large number of people without a moment's delay as we can. The concentrations are an impression of the sum We've helped some person.